In my first published collection, Bake-Face and Other Guava Stories, 1986, I killed off a character. While returning from school, six year-old Perry is run over by a drunken driver in the story, “Me Man Angel,” About two years after the release of the collection, while traveling to a conference, I just happened to sit beside one of my readers, and upon discovering that I was the writer, she accosted me. “How could you have killed him off,” she shouted at my puzzlement. “A friend gave me your book, and I cried all the way on the plane. Perry should not have died.” That was my first experience with the impact of my work on another, and I was truly blown away. I immediately went into apology mode, sorry that I made her cry and embarrass herself on the plane ride, sorry that she loved Perry and that he died, sorry that I could not have made him live. After both our initial responses, she calmed down and we talked for the remainder of the plane ride from California to New York, five hours, about the collection and how much she enjoyed it. Despite her chagrin over Perry’s death, she was a fan and wanted to know when she could expect my next collection. However, she did say, “I hope you don’t kill off any other children.” I took her remark to heart. As I reflect on that collection, I see now that all the stories are about death of some sort. The title story is about the death of a relationship that allows the protagonist, Bake-Face, to move forward and accept her role as a mother and claim the life she deserves. Similarly, Lilly in “Duppy Get Her,” is forced to end a relationship with a man her maternal grandmother disapproves of and returns to her people to give birth to her son. And in the last story in the collection, “Widow’s Walk,” as June-Plums frets about her fisherman husband whom is believed to have drowned at sea, she buries the life that has been planned for her and boldly steps into a role she conceives for herself. All ends well as her husband is found alive and is being retuning when the story concludes. But death, mostly metaphorically, pervades the entire collection. Although most of my characters live, as a writer I do think about the ramification of a character’s death and what is the large motive/reason behind their demise. In another of my collections, Until Judgment Comes, 2007, Padee, the protagonist in “Sun’s Son,” dies and in the title story, Jeremiah’s father is killed, his mother dies and he inadvertently drowns a woman whom is he is baptizing. Death appears again, but that is fiction. While I am intimately connected with my characters during the process of writing, I tend to forget about them once the book is complete because other characters demand my attention. I tend not to grieve their death or even concern myself about whom might be mourning their passing. While fiction mirrors life, the death of someone such as my father who died on March 16 feels very different from the deaths I have created in fiction. I am a very practical person and understand the innate irony that the beginning of one’s life is also the signal of their imminent death. I have only attended a handful of funerals, and have basically avoided such events. My children and my will provide specific details that there should be no funeral for me, that I am to be cremated and my ashes sprinkled on the Blue Mountain. The finality of death I find appalling, especially because unlike fiction where I plan it, and it is therefore convenient, at least for me, in real life, even when expected, death comes as a thief, well actually, a purse-snatcher, someone who runs up and grabs one’s purse as they are just walking about, having what they thought, up until that moment, was a good day. Suddenly you have to contemplate credit cards, driver’s license, pictures of children from infant to 20, and all other assortments of things that as a woman you keep in your purse. My father was only 86, and some say, “You were so lucky to have had him so long.” And while I agree, I also disagree because even though we had forgiven each other misunderstandings, years of absence, things not said, –and had arrived at acceptance and the knowing that whatever you wanted to hear will never sound like you think it should– you still had hoped for more; longer time to learn more details of his life, longer time, so perhaps your children could enjoy more of him, longer time so you two could sit down again as adults and unearth more details, longer time, just because I really don’t know if he liked to dance or what his favorite song was as a teenager. My father was born Orlando Melhado Palmer, son of Edith and Ezekiel Palmer. He, like his sister, was born in Cuba, where his parents went to work, but returned to Jamaica when he was six years old. He spoke Spanish and also wrote proficiently in that language. These are merely facts that do not outline how I felt about my father or reveal the nature of our relationship, which as with all parental/child relationships are fraught with both happy and sad memories, and hopefully the former outweighs the latter. Of my childhood memories of my father he is a hero, strong and fearless swimming my sister and I out to sea at Gun Boats Beach, on his back, one at a time, alternately. As a character I would not have him die, at least not when I was a little girl. He was a cyclist and raced at Town Moore, he went to England with the Jamaican army, and while there he studied and became a licensed chemist. In Jamaica he worked at Bernard Lodge, then on several sugar estates, responsible for the conversion of sugar into rum. After leaving the sugar industry he was one of the first Jamaican chemists to work at the University of the West Indies when it opened, working with the first set of doctors there. Then he went into City Planning and worked with the Public Work Department of Jamaica that sent him to Belize for which he did the city planning, and elsewhere. As a character he is still my hero, and I am rooting for him, despite his drinking that ended his marriage with my mother, because he was still in my life, and we still has Sunday drives and stopped and purchased hot roasted peanut from the vendor and we leaned against his car and shelled and ate them slowly, no words passing between us, but the enjoyment was evident. He left Jamaica in the early 70’s for New York where he worked as a Chemist until he retired from Lannaman Candy Factory. He did not tell us/me he was leaving. We did not know where in New York he was for ten years. I would kill him if he were a character, and in real life, during this time period I wanted him dead. He did not attend my high school graduation, he did not interrogate any young man who wanted to date me, he did not know my plans for college; he no longer sent me birthday cards, he was not present, vanished. Such a character has outlived the value of his role in the story and therefore his death is understood. Readers would side with the me, the protagonist in this case, and not be outraged like that reader, mentioned earlier , who confronted me on the plane. It would be okay of her were my character and I killed him. The tricky things about killing someone off is there is no chance for them to redress their bad ways and make amends, unless of course you the writer make allowances. So I did not kill off my father and about six months before I was scheduled to graduate from college, he sends my sister and I a dear daughters love letter about missing us, and wanting us to come and visit him, in White Plains where he lived for the past twenty five years and where he died. To say I was a little peeved is an understatement, but my mother, always more generous that many people deserve, insist I accompany my sister and go and visit my father, which we do, but I do not relent throughout the entire visit and demand answers from him, which are not forthcoming. It will take another ten years, plus two years of therapy before I am able to let go of my feelings of abandonment and forgive my father, but even after that period, I found I had to revisit my forgiveness when things surfaced over the years. This is an important development, which should serve as a caution to writers tempted to kill off their characters, especially too soon. Such an act excludes the possibility for transformation, an important and cathartic element in fiction. If my father had died when I wanted him to, neither he ( my father) the antagonist nor I (the protagonist) would have been allowed the opportunity for growth. Even more importantly, we would have both been denied the opportunity to meet again and to be truly present in each other’s life. Because my father and I were able to bridge the divide, he got to know his grandchildren, my children, and sent them birthday and Christmas cards without failure, wrote them letters, spoke with them on the phone and when I took them to New York to visit, during the summer, he would show them his garden of tomatoes and watermelon and beans that he was so proud of and tell them stories of growing up in Abokuee, St Ann’s as a boy and having to catch water and carry it on his head before he went to school. Because my father lived, we were able to talk about my various travels and all the places he has hoped to visit, but was happy to experience them through my stories and photos that I sent him, especially Egypt and Morocco and Italy. 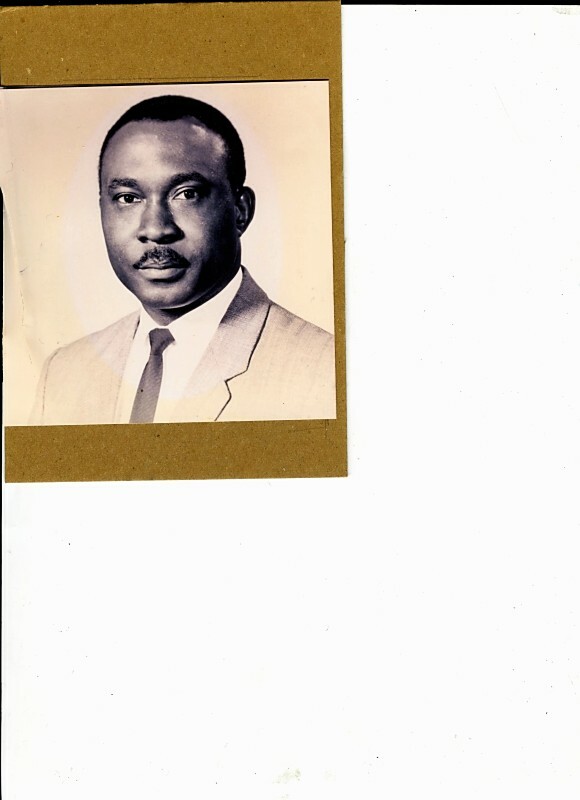 My father, or Daddy as I affectionately called him, is survived by his six children, Keith, Stratton, Marva, Leonie, Opal and Patsy, sixteen grandchildren, Paul, Stacy, Ricardo, Althea, Antoinette, Sarah, Shola, Jawara, Teju, Sherene, Shanique, Strattene, Gregory, Gerogia, Jasmine and Daryl and four great grand, Kathryn, Patrick, Posydon and Oren. Also, a brother, Rue, and three nieces, Precious, Doreen and Lydia, outlived him. As a character and as a man, he did not bridge all the gaps or heal all the wounds with his children, nor did he get to meet all his grandchildren, although I made sure he had pictures of all of them As a man just like most characters he was flawed, proud and self-righteous, even when his actions were hurtful, regardless of the intention. As a man he felt as a father his children should forgive all earlier indiscretions and failing, but as a writer, I know ever character has to be willing to be self-reflective or suffer the consequences as a man, who dies estranged from some of his children. Killing off a character is not as easy as readers would think. It has to fit into the story’s arch and when a writer uses this ploy it is because the character is expedient, and serves no other purpose. In real life, even when we want to we cannot or should not kill off others as quite often we have very little insight about their motives. If I had killed off my father when he dropped out of my life, I would have missed out on the wonderful opportunity we both had to develop an adult relationship and share each other’s life and learn step-by-step how forgiveness softens the heart and open you up to the grace and love available in the world. I love my father, a patient man who would sit me in his lap as a little girl and allow me to steer his car, the same man who only last year when I went to visit him in his home in White Plains, NY cooked me several dishes and showed deep concern that I would be taking the train back to New York city after it was dark. These and other memories that I have of him and other moments that I enjoyed with him, will live in my mind and heart and which I will take to my own death. Writing about death does not soften the sting of the finality of it, but the process of writing about my father’s death has helped me to let him go, to dance his spirit to its final journey, to dissect the man as a character and still end in love.